To run a successful professional firm you need to give yourself an edge over your competition. This will require the inter action and application of a number of dynamics and disciplines which we can help you build into your business. Brexit means Brexit � but what will it mean for law firms? The SRA's latest report on financial stability (February 2014) said its engagement with firms found poor financial management that ranged from "naive to reckless". They have also seen poor practice in the management of client accounts. 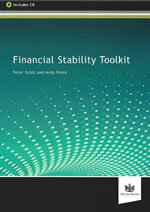 This toolkit will help firms to address those common financial issues facing many firms.